Photo accessed via Save Kings Park Facebook Page. Saanich has pledged to purchase the 2.23-acre parcel of land owned by B.C. Hydro near the intersection of Richmond and Kings Road. 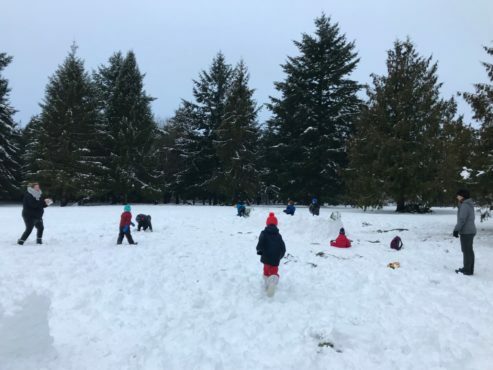 The “Hydro Fields” will be sold to the District of Saanich for $5.5 million, as per a conditional agreement made in late January. For many, the green space bordered by Bowker Creek, Haultain Avenue, and Kings Road is known as “Kings Park,” and is a cherished cornerstone of the neighbourhood. Yet, until the recent move by Saanich to purchase the land, it could have ended up in the hands of the next developer. 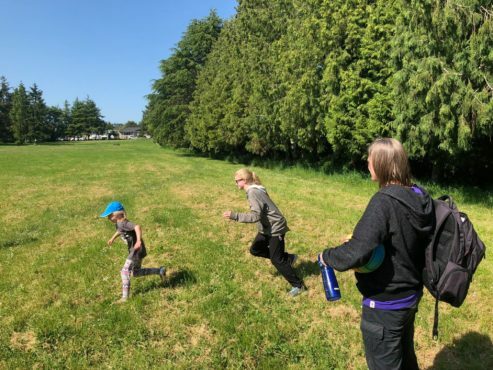 After a unanimous vote by Saanich Council to purchase the land, plans to take ownership will begin as early as summer 2019. “We heard from residents over the last several months that this property is a crucial part of their community,” said Saanich Mayor Fred Haynes in a media release. Saanich intends to borrow about $4 million for the purchase, and reserve funds will cover the remaining $1.5 million. The municipality will then be looking to residents, community organizations, and other local governments to reach a $2.75 million fundraising goal to lessen the financial burden on Saanich. If they fall short of that goal, Saanich will consider selling off a portion of the land to recuperate costs. Some councillors, such as Nathalie Chambers, know the importance of the area first hand. Chambers has envisioned the area’s protection for 23 years. “For me it was something that was always on the bucket list,” says Chambers, who used to live one block away from Kings Park and raised her first child there. 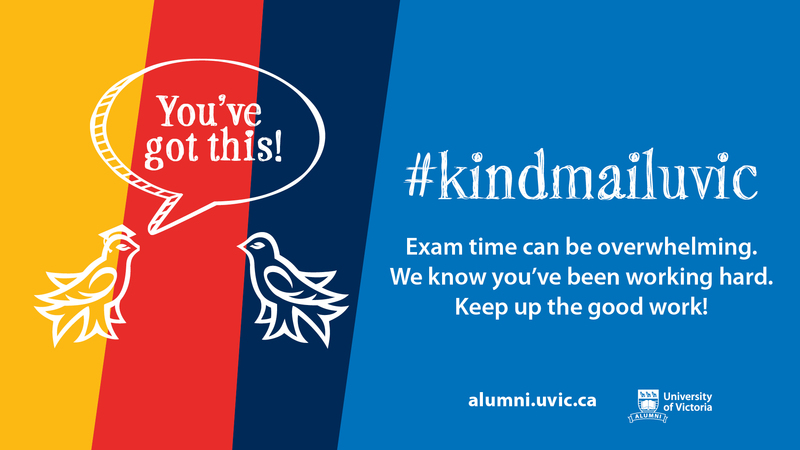 When Chambers enrolled at UVic in the early 2000s, her first project in her restoration ecology studies focused on restoring Bowker Creek, which runs through the southwest side of Kings Park. Yet convincing the Saanich Council to take Kings Park under its wing took a lot of leg work from community members. Rebecca Sterritt was one of the community leads in the conservation movement for the park. “When it really hit us that [B.C.] 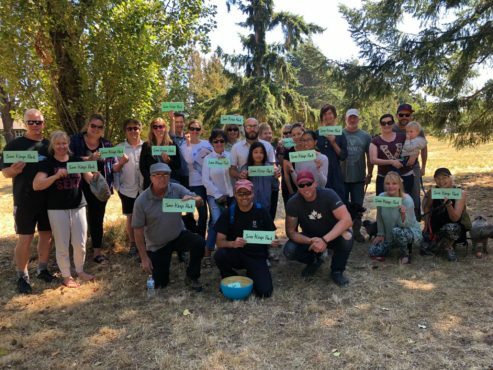 Hydro would be selling the land, we mobilized and got a group of 100 very local community members together and then we launched a petition, which reached approximately 2 500 people,” Sterritt says. The petition was just the start. Sterritt and other community members met with every single councillor from the previous Saanich Council, as well as all 19 candidates during the October 2018 election. They took each candidate to the land to give them a tour and to explain the value and history of the property. “It’s been used for … years by the community, so it’s a really precious space for generations of community members,” Sterritt says. Sterritt adds that the purchase will help Saanich meet its green space quota. “Our local area is at a deficit of green space based on Saanich’s own standards. We’re at a 25 per cent deficit of accessible green space,” says Sterritt. But for Chrissy Brett of the Nuxalk First Nation, and founder of the Namegans Nation homelessness and housing protest project, the idea of spending millions on a parcel of green space when hundreds of people are without homes is hard to swallow. Brett has been trying to help the homeless community find an area to live in Greater Victoria, but they have been faced with multiple evictions. Saanich offered an area on the Swan Lake Reserve intended for temporary modular housing, but it was too swampy to build on and the municipality wouldn’t pay the millions it would cost to level it out, Brett says. “I just find [the Kings Park purchase] super convenient for people who have money and who have houses and homes, but not so much for those who don’t,” Brett says. But Sterritt says that buying green space doesn’t come at the expense of affordable housing. “That’s conflating issues. That’s saying, ‘We should eat broccoli’ — ‘Oh but apples are healthy.’ Well they both are. So absolutely we need housing and that’s an issue that absolutely needs to be dealt with, [but] the money doesn’t come from the same coffers,” she says. Sterritt’s vision of affordable housing in Saanich involves densifying current housing while protecting undeveloped green spaces. Chambers says that Saanich will be making sure it gets its balanced diet of both broccoli and apples. For others, such as Kings Road resident Colin Greenlaw, while the protection of Kings Park is an exciting prospect, he also fears what the area could become with new park infrastructure. “[At present] it’s essentially undeveloped. There’s no playground. There’s no purpose-built area, so you can kind of make your own adventure,” says Greenlaw. Beyond jungle gyms and organized activities, parks also tend to be well-lit. “Putting a [street] light in might seem like a good idea … but [right now] it’s a very nice dark street. I think people on the street really value that,” he says. Greenlaw is also wary of the increased regulation that could come with park status. 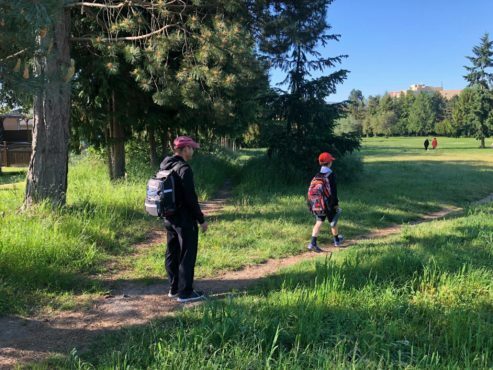 “Over-regulation of green spaces — in British Columbia specifically — I think is a problem for people, especially younger people, who want to have a beer or smoke some dope harmlessly in an area where it may not be allowed due to standard park regulations and bylaws,” he says. But Sterritt points out that the fines for illegal behaviour in the park are currently greater than they would be otherwise. “[Under] its current status, we’re not even supposed to be using it, technically,” she says. Provided photo via Rebecca Sterritt. 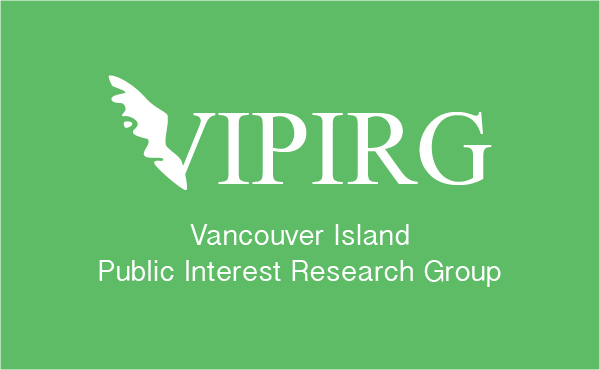 As for park infrastructure, Sterritt has been working with a UVic environmental studies class to do community consultation around what the park might look like in the years to come. UVic student Annina Lorenzo is one of the group members who took on the Kings Park project. Lorenzo says Greenlaw’s vision of a make-your-own-adventure park is shared by many community members. Lorenzo says that the group is currently drafting a letter of consultation to the Esquimalt and Songhees First Nations. Hannah Roessler, the professor of the environmental studies class, is also in the midst of reaching out to an Indigenous elder who remembers how the Kings Park area was used in the past. The group hopes that the site can become a place of reconciliation and cultural resurgence, including meaningful relationship building between Indigenous and settler communities, the planting of native plants, and the implementation of informative signage, says Lorenzo. But when it comes to Indigenous reconciliation, Brett says we also have to look at the bigger picture. “B.C. Hydro is not an innocent party that I would want to support,” says Brett, who is Indigenous to the Peace River Valley region where B.C. Hydro intends to push through its Site-C mega dam project. This small piece of green space at Kings Road is tiny compared to the area that B.C. Hydro intends to flood up north, says Brett. Though a proponent of the action, Sterritt agrees that Saanich shouldn’t really be forking $5.5 million over to B.C. Hydro. Though Sterritt adds that, relatively, it is a low cost when it comes to land prices. Aside from who the money is going to, the question remains: will Saanich be able to reach its fundraising goal of $2.75 million? Chambers is hopeful, and her optimism is founded on a similar success in the past. From 2008 to 2010, Chambers and her husband helped spearhead the protection of Madrona Farm. Through the donations of 3 500 people and the help from The Land Conservancy of British Columbia (TLC), they fundraised $2.7 million. Brett, meanwhile, thinks that Saanich should come up with something that brings together the best of both worlds.